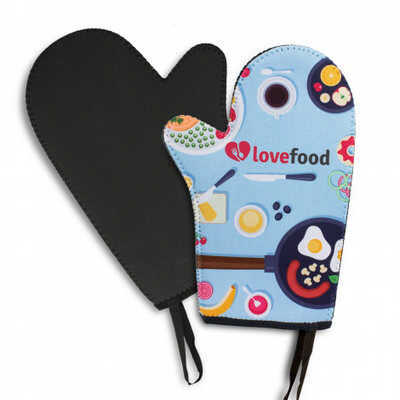 Protective oven mitt which is manufactured from heat resistant neoprene and can be branded in full colour. A production lead time of 15 working days applies to this product by air freight and larger orders can be sea freighted on request to reduce the freight cost. Colours: Front: White. Dimension: L 295mm x W 198mm. Print Description: Please refer to template. Print Type: Sublimation Print. Packing: Less than minimum quantities are not available for this item. Price includes : Full Colour Print. Setup is included.